In the Highmark Health pilot, Lyndhurst, N.J.-based Vitals SmartShopper will provide the buying guide for the company’s self-insured groups, which comprise the bulk of its customers. Here’s how it works. Using claims data, employers identify the highest cost, most common medical services used by a particular group. They can choose from several dozen specific services — imaging, diagnostic testing, elective surgery — to tailor the advice given to employees. Employer groups pay for the service on a per-member, per-month basis or as a percentage of the savings realized. For example, the nationwide charge for an infusion of Remicade — a medicine used to treat rheumatoid arthritis, Crohn’s and other diseases — can range between $1,500 at an outpatient clinic and $10,000 at a hospital, Mr. Rothschild said. Highmark members can see any provider in the insurer’s network, but using SmartShopper, Mr. Rothschild claims the average savings per employee is over $500 annually for the employer, with member rebates ranging between 10 percent and 20 percent of the employer’s savings, up to about $500. Vitals’ recommendations will be based on Highmark’s internal quality and cost data, and members can access the advice on the company’s website. Highmark is just rolling out the new service, so it’s uncertain whether it will get traction. Vitals was founded in 2005 and, according to its website, helps more than 150 million people annually make health care decisions. Consumers have long been in the dark about health care’s billing system, where charges are unrelated to the amount paid by the insurer and even the actual cost of providing the service. Worse, health care costs have been rising. Premiums for family coverage were up 58 percent between 2006 and 2016, according to the Kaiser Family Foundation, a Menlo Park, Calif.-based health policy research outfit, while the percentage of insured workers with an annual deductible of $1,000 or more for single coverage was 45 percent in 2016 — up from 6 percent during the same decade. ncreased premiums and copays have also spawned such companies as Greensburg-based Pratter LLC, which uses patient invoices to compile a proprietary price list for medical procedures performed at institutions nationwide. Pratter founder Bill Hennessey praised SmartShopper’s intent, but said it didn’t go far enough. In Western Pennsylvania, charges for routine blood work can range between $500 and $1,900, depending on the facility doing the test, Dr. Hennessey said, and a doctor isn’t needed to interpret the results. 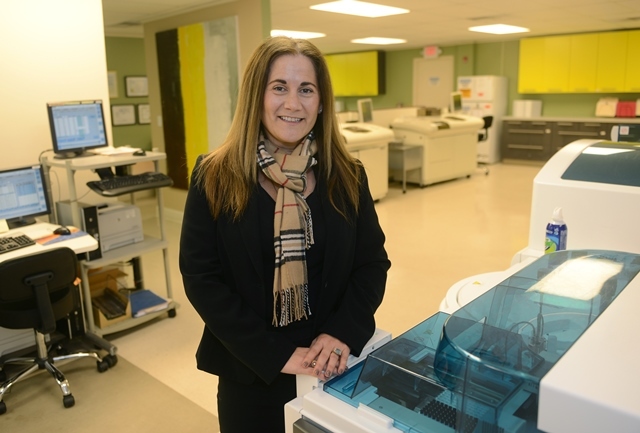 He identified Monroeville-based Med Health Services as among the lowest-cost providers in the region for blood work, imaging and other tests. But Med Health is not available to all consumers: Its lab and headquarters, located a few miles from UPMC East Hospital, is not a UPMC Health Plan provider. In recent years, insurers have used high copays and high-deductible health plans as a stick to encourage smarter health care decisions. Instead, consumers skipped getting care, said Med Health CFO Josephine Oria. Now, deductibles “can’t continue to go up,” she said, forcing employers and insurers to find new ways of shaping consumer behavior. As a low-cost provider, Med Health stands to gain by the Highmark pilot.